UC Irvine fell short of beating Oregon in the Round of 32 on Sunday night, but it wasn’t for lack of trying. After the Anteaters’ 73-54 loss, coach Russell Turner told the media what he did to try and have an impact on Oregon, and on one player specifically — Louis King. A reporter asked Turner why he’d spent extra time with King in the traditional postgame handshake line, and here’s what he said. The queen in chess is the most important piece, but calling someone “queen” can have a much different (and more offensive) meaning. Which Turner presumably knows, and that could be why he explained it to the media and to King himself after the game. King scored 16 points with four rebounds and one assist against UCI, and once the game was over, Turner spent an extra few seconds with King in the handshake line presumably explaining what the taunt was about. "And it bothered [King] ... But he came back and finished the game really strong. And he'd had a thing or two to say to me during the game, and I wanted to let him know that what I'd done was out of respect." Turner wasn’t asked about the taunts specifically, and said later during the media conference that as a coach, he knows his voice can have an impact on the game, especially when the opposing team is using the net right in front of him. Turner tried to have an impact on Sunday, but it couldn’t stop King or Oregon from claiming victory. 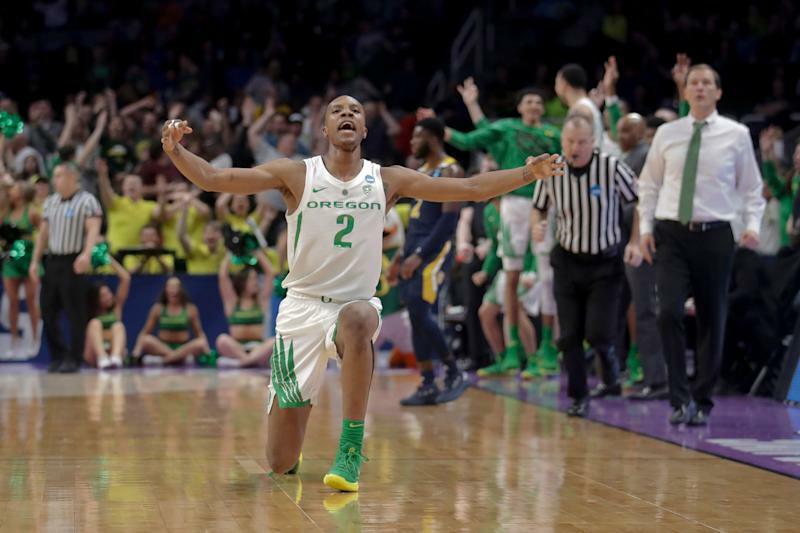 On Monday, Oregon’s team announced via Twitter that Turner had been in touch with King to apologize. Coach Turner reached out today to express his apology to Louis and the King family, as well as the staff and program for in game comments. He reiterated they were not meant to offend. All parties accepted the apology and are moving past the issue.